To kick off this bi-annual event, I made a fun little craft for the kids to play with. All it is is the five Olympic rings cut out of felt on top of a white felt background. Each ring has a cut in it so they can be interlocked with each other as the official Olympic rings are. I fully expect my kids to make many combinations of the rings as well! This Olympic rings craft is pretty self-explanatory: you make circles in each color and then put it on top of white felt! However I wanted to share my favorite way of cutting out circles, which makes the process so much easier than just whipping out a pair of scissors. Meet the OLFA circle rotary cutter. 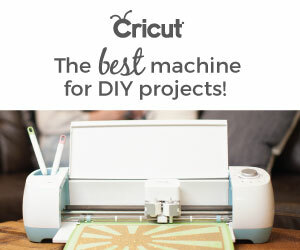 It’s an adjustable cutter that can cut circles in any circumference out of both paper and fabric. I’ve used mine on both and haven’t had any problems switching between the two (though I probably should get a backup blade just in case!). You just center the spindle in the middle of where you want your circle cut and rotate around it. Voila! Perfect circles every time! Watch the video below to see how I use it to create an Olympic ring. The outer circle was cut with a 3″ (7 1/2 cm) radius, the inner circle a 2 1/8″ (5 1/2 cm) radius. Repeat this process for all 5 rings in blue, yellow, black, green, and red. Cut a slit through each ring so they can be looped through each other. Cut out a white rectangle big enough for the background and you’re good to go! This is such a great idea! My son will love this, we are all so excited for the Olympics!